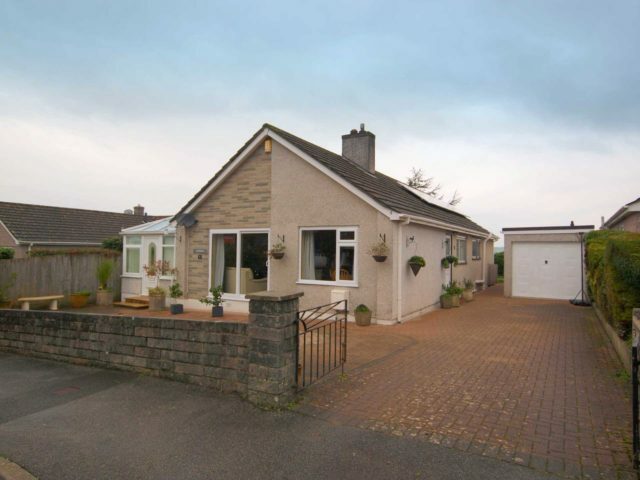 This nicely presented detached bungalow is situated on a popular town development with bus route and would make an ideal family home or suitable for someone looking for a spacious home. 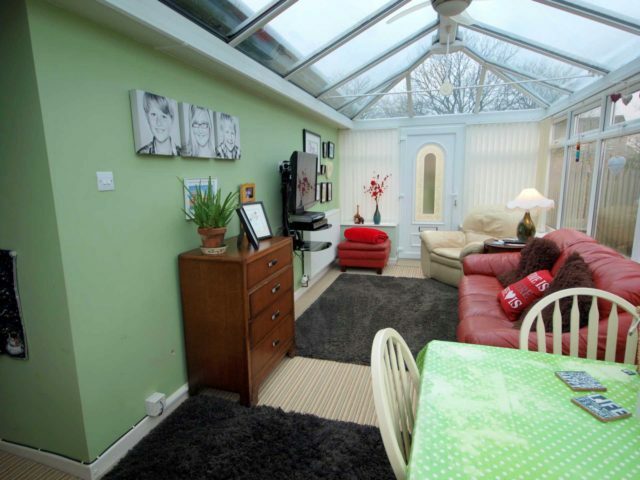 Comprising of four bedrooms, spacious conservatory/family room, generous size lounge/dinner, modern fitted kitchen/breakfast room, separate w.c. and family bathroom. 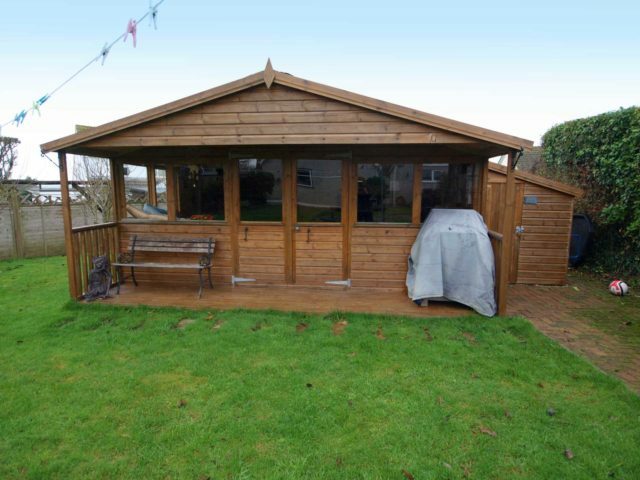 The property has an enclosed generous garden with summer house and timber lodge which at present is used a family games room but would make an ideal office or workshop.  There is a garage with separate utility room at the rear. 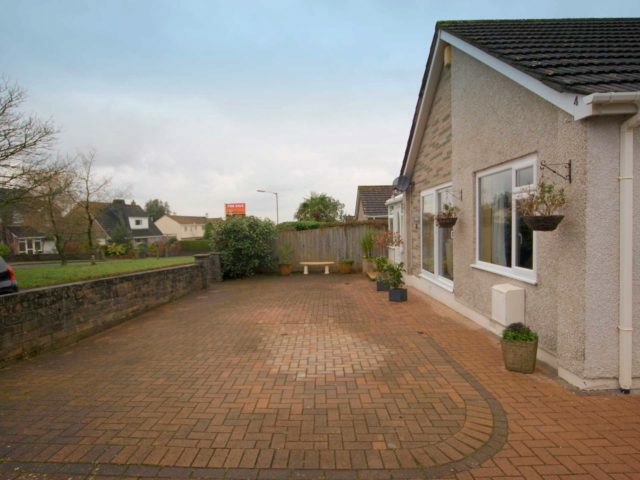 A brick paved driveway offers parking for at least 3 cars and further unrestricted roadside parking. 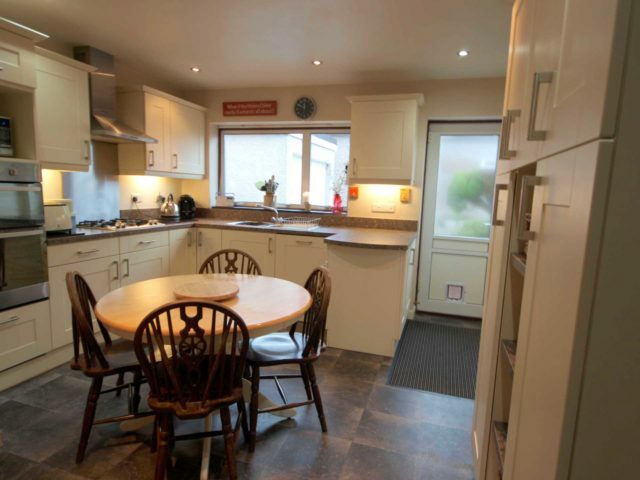 The property benefits from its own solar panels which generates an income, gas boiler with mains water pressurised tank and Honeywell Eco home system making this property very energy efficient and economically to run. Internal viewing is highly recommended. 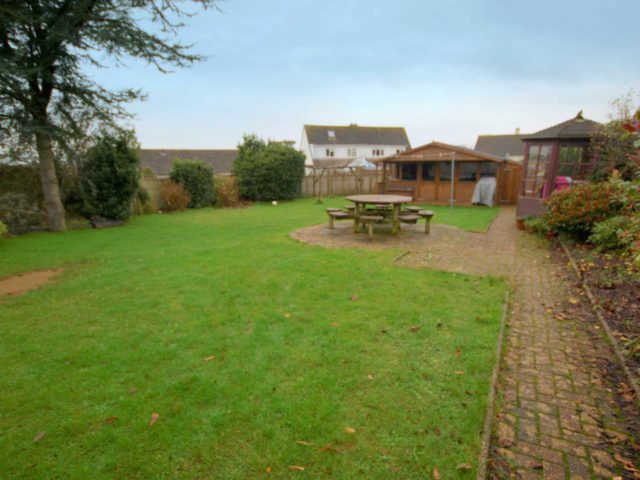 The property is set on a popular town development having a small triangular treed green immediately in front with westerly views beyond stretching to the hills on Bodmin Moor. The green takes away immediate passing traffic and there is a fairly level approach from Lansdowne Road to the town centre which is roughly 1/2 a mile away.  In addition to supermarkets, normal town shops and banks the town has a health centre, bowling green and cricket ground whilst the St. Mellion International Resort is some 3 miles south of the town being a renowned golf course with extensive leisure facilities, etc. Side aspect double glazed window and further panelled and glazed door leading out to side aspect. 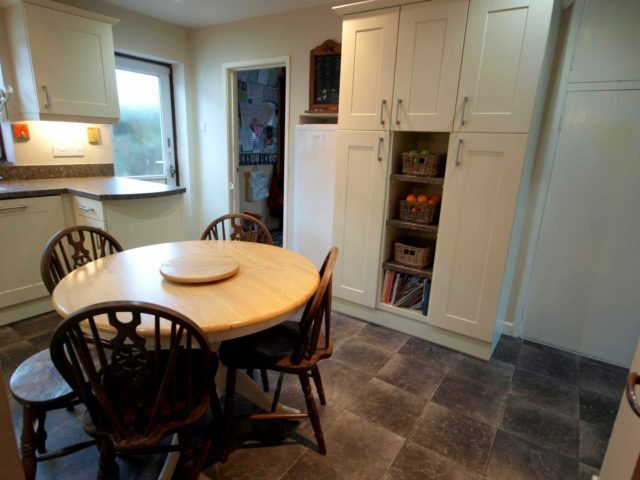 Modern cream shaker style fitted kitchen with a range of base and wall units. One and a half bowl stainless steel sink with mixer tap over. Contrasting square edge work surfaces with upstand, integrated appliances to include dishwasher, inset stainless steel hob with Hotpoint extractor fan over and stainless steel splash back. Midlevel stainless steel Hotpoint double oven and recess for microwave above. Concealed work surface lighting and recess for fridge. Built in full height cupboard which has the benefit of ample fitted shelving but can be used as a cloaks cupboard with further cupboard space over. Radiator and vinyl floor covering. Door into Lounge and Inner Hallway. This spacious lounge has front aspect uPVC double glazed windows overlooking the front low maintenance garden with further uPVC patio doors. Coved ceiling with triple ceiling light point and ample wall light points. Victorian feature style fireplace with a wood surround and decorative tiled panels with living flame gas fire on a marble hearth. 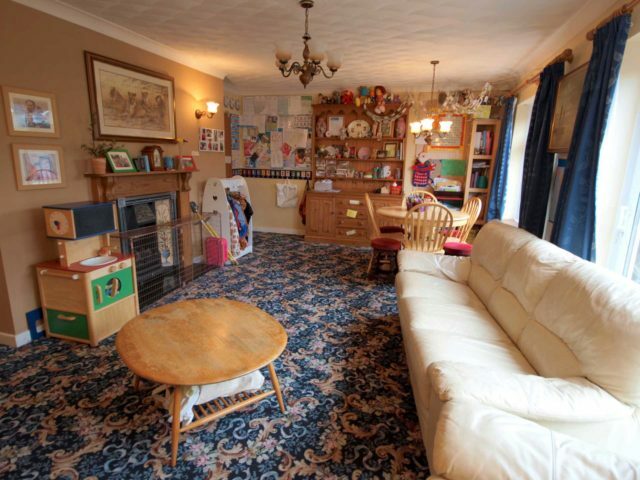 Radiator and fitted carpet. 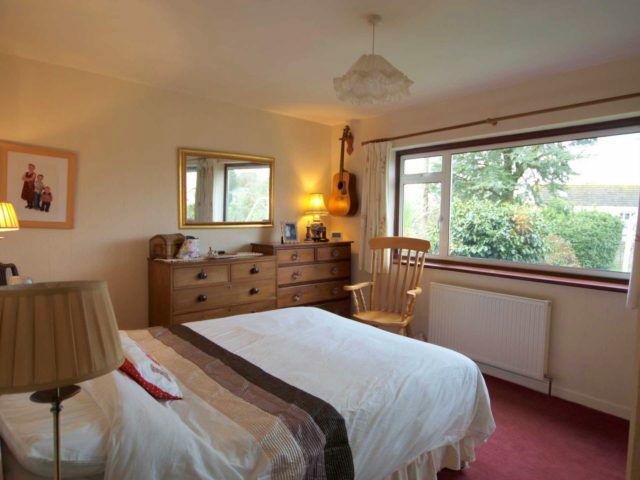 This is a generous size double bedroom with rear aspect uPVC double glazed window enjoying views over the rear garden and out towards adjoining countryside with Kit Hill in the distance. Triple mirrored doors giving access to full height built in wardrobes with a generous amounted of fitted shelving and hanging space. 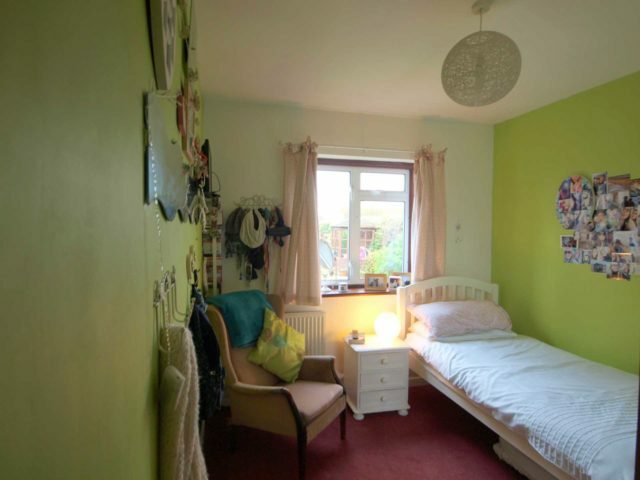 Radiator, ample power points and fitted carpet. Side aspect double glazed window enjoying views out towards adjoining countryside. Coved ceiling with central ceiling light point, radiator and fitted carpet. Side aspect double glazed window again enjoying views out towards adjoining countryside. Coved ceiling with central ceiling light point, door giving access to built in cupboard which has ample hanging space and fitted shelving over. 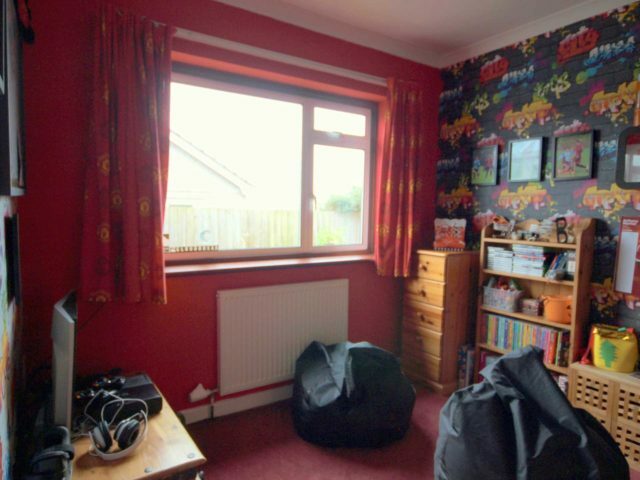 Radiator and fitted carpet. Rear aspect double glazed window with views into the rear garden and towards Kit Hill. Twin mirrored double doors giving access to built in wardrobe again with ample fitted shelving and hanging space. Radiator and fitted carpet. Side aspect double glazed window with opaque glass. Inset ceiling lighting, modern W.C in white, this room has been fully tiled with contrasting tiling and vinyl floor covering. Side aspect double glazed window with opaque glass. Inset LED spot lighting, modern Bathroom in white comprising of Low Level W.C, pedestal wash hand basin and panelled bath with mixer tap, there is also and independent shower with glazed sliding doors. Wall mounted extractor fan, chrome ladder heated towel rail and vinyl floor covering. Access to the property is gained via a decorative double wrought iron gates. The garden is enclosed at the front with dwarf walling, mainly brick paved for ease of maintenance and offering ample parking for approximately 3/4 generous size vehicles. The driveway proceeds to the side of the property leading to the Garage. Outside lighting. 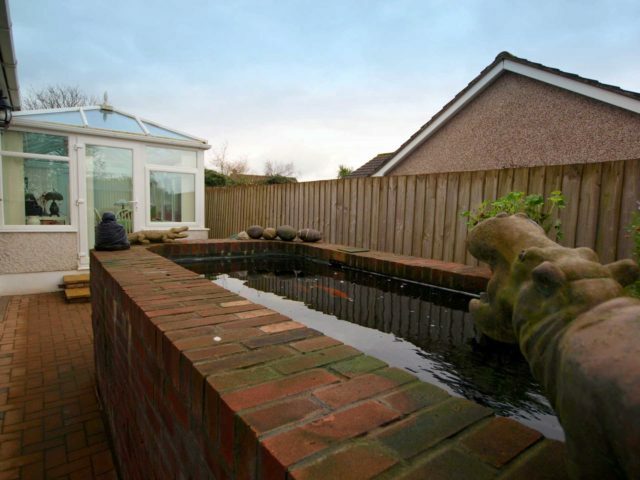 Situated to the opposite side of the property is an ornamental fish pond with access from the rear garden. The rear garden is level and mainly laid to lawn surrounded with well-established shrub borders. 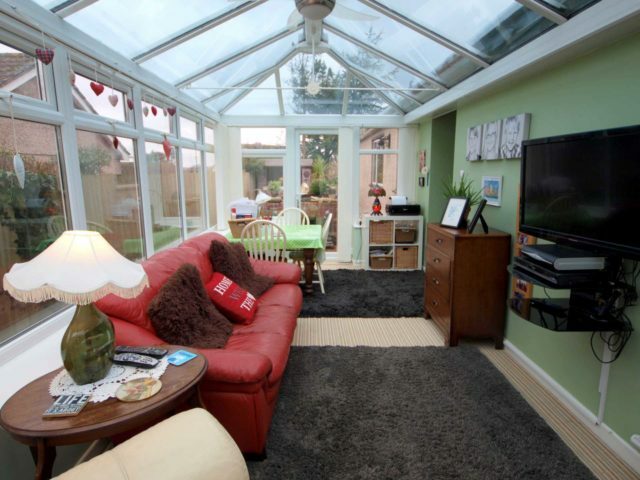 There is also a garden summer house, central seating area and brick paved pathways. Outside tap and outside power. Metal up and over door. Wall mounted electricity meter and consumer unit. There is also all the electricity supply & controls for the Solar Panels. Side aspect uPVC double glazed window, ample power points. At the rear of the garage is the Worchester boiler and tank for the pressurised water system. Work bench area and florescent strip lighting. Access is gained to the utility via a glazed and panelled door. Rear aspect uPVC double glazed window enjoying views into the rear garden. Coved ceiling, fitted shelving, space for freezer and further space and plumbing for an automatic washing machine and tumbler dryer. There is a Belfast sink supplying hot & cold water and radiator. The room has been fully tiled with contrasting tiling and ceramic floor tiling. Glazed windows to the front and side elevation. The workshop has been fully pine cladded and insulated with a Pine cladded pitched roof. 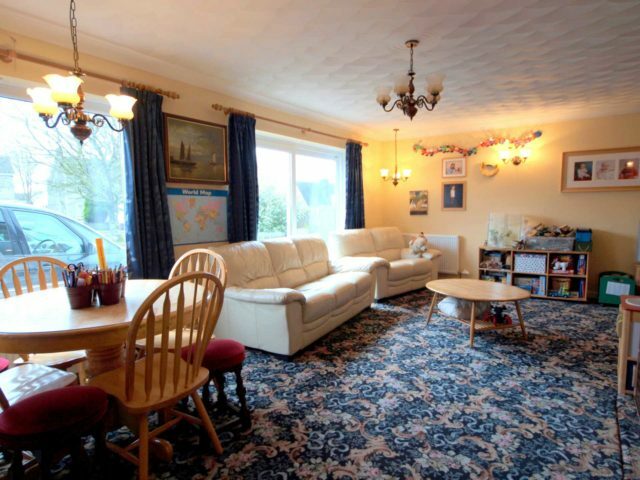 Ample lighting, ample power points and fitted carpet. Situated to the side of the workshop is a door giving access to a further storage shed ideal for garden appliances etc.